MANDAN, N.D. (AP) — Police following evidence from surveillance video arrested a 44-year-old man Thursday in the slayings of four people at a property management business, just days after the discovery of their bodies shook a North Dakota town. 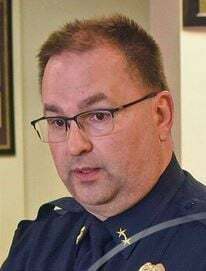 Mandan Police Chief Jason Ziegler announced the arrest at a news conference Thursday night, saying police don't yet have a motive but noting that the suspect lived on property managed by the company, RJR Maintenance and Management. Police had released little information about their investigation in the days following the discovery of the bodies after authorities responded to a medical call Monday. Homicides are unusual in Mandan, a town of about 22,000 just across the Missouri River from the state capital of Bismarck that hadn't had a slaying since 2016 — and had only three in the past six years.